Education projects in Guatemala benefitting underserved children and youth in resource lacking communities. Guatemala is one of the smallest countries in Central America, though with a population of 14 million people, it is also the most populous. With an annual growth rate of 2.5 percent (the highest in all of Latin America), it looks they are to remain so. More than half of the population is 19 years or younger, making it the youngest country in Latin America. Guatemala has the third highest adolescent birth rate in Central America – 114 births for every 1,000 women aged 15 – 19 each year. Although Guatemala does have several national policies that support social development and address population issues, they have not been carried out very effectively. The country has experienced economic growth in the past decade, although growth has recently slowed. Guatemala remains challenged by high levels of inequality, especially between the Mayan population, which represents approximately 40 percent of the country’s population, and the ladino population, which makes up the majority of the remaining 60 percent. 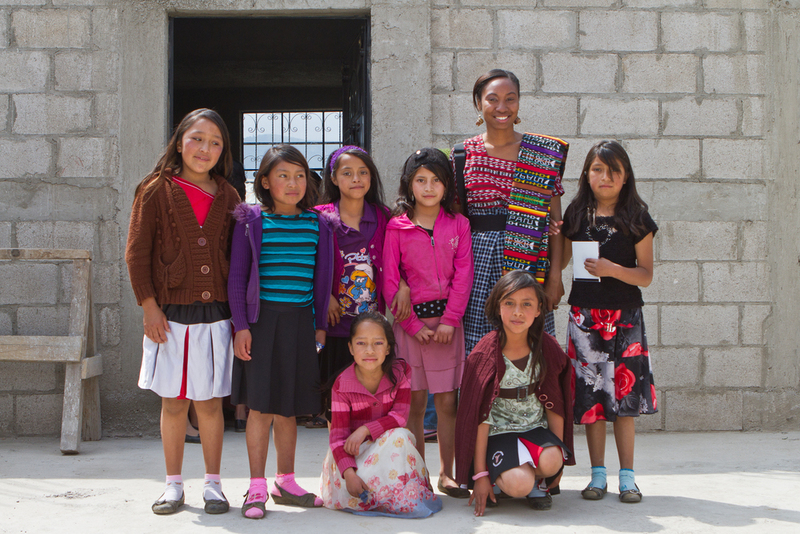 Guatemala has started making strides in addressing many of its gender-based disparities. However, the more-telling difference is between the quality of the lives of Mayan and ladina women, reflected in differences in school attendance and use of health services. Only two-fifths of women aged 20 – 24 have completed primary school, one in four in rural areas and one in ten among indigenous women. Half of young Guatemalan women enter into a union (formal or consensual) before their 20th birthday; three-quarters do so with no schooling, compared with one-quarter of those with a primary education or more. Forty-four percent of 20–24-year-olds had their first child by age 20; the proportion is highest among young women with no education (68%) and among indigenous women (54%). High up in the Western Highlands of Guatemala, nearly nine out of ten girls don't finish primary school, and illiteracy remains high. Without education, the cycle of poverty lives on. But where there is hope for a better future, there are opportunities to create one. In 2013, we began the construction on a learning center in partnership with Abriendo Oportunidades, a local organization dedicated to the education and empowerment of girls and young women. This learning center is a safe meeting place and strengthens education through a computer lab and library books for the rural village of Vásquez. The center also benefits the community at large, reinforcing the literate population by making books accessible, and creating a behavior change by promoting technology as a resource tool for education. Before the construction of the learning center, there were no libraries in the village of Vásquez, or in surrounding villages. In order for the learning center to be an ongoing success, there are several crucial improvements that must be made to the existing structure. Project SERES is a local not-for-profit association committed to empowering youth in Guatemala and El Salvador to lead sustainable communities. SERES seeks to simultaneously galvanize the potential of the youth bulge and create new ecologically-minded youth leaders in the department of Sacatepéquez through the SERES Youth Sustainability Leadership series. . . Through collaboration with local Peace Corps volunteers, teachers and the director of the middle school, the beneficiaries of this project will be able to sustain practicing the learned methods in relation to life skills and the environment. Follow up educational talks will occur throughout the school year with the students and parent group to ensure the apprehension and understanding of these topics. Computer skills are essential for inclusion in an increasingly educated work force. 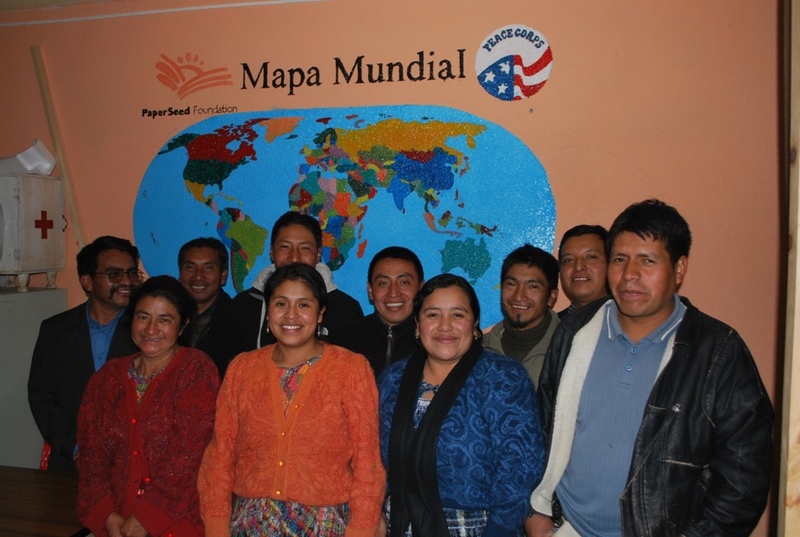 Guatemala is no exception; in order to escape the impoverished life of sustenance farming in rural areas, students must learn professional skills while in school, yet access to technology in remote rural areas is extremely limited. PaperSeed built music rooms and playgrounds in Santa Lucía la Reforma, Choalímon, Paxan and Guatluc. In El Mezquital, Guatemala, PaperSeed started a music program and today the school orchestra participates in national competitions and often plays at local festivities.